I admit it. Before coming to work at the Test Kitchen, I was not the hostess with the mostess. Not even a little bit. Most of the time on Sunday Fundays, my husband did the cooking. Why? Well, because he was better at it. However, thanks to Howard and Patty, I’ve been getting some up close and personal training skills in the kitchen. Thank goodness too! Because now that spring has sprung, my girls and I have been having weekend brunches and enjoying the weather while the kids play. We tend to rotate houses and cooking, and since my turn was coming up I went to the experts. I wanted to try something new, but also something that wasn’t going to break the bank or take forever to make. I mean, if you’ve read my past blogs, you know Howard hasn’t let me down yet. Once again, the Test Kitchen came through, with some help from the local dairy and freezer aisles. As a working mom with a small toddler, let me tell you, those are my absolute favorite and most shopped aisles. 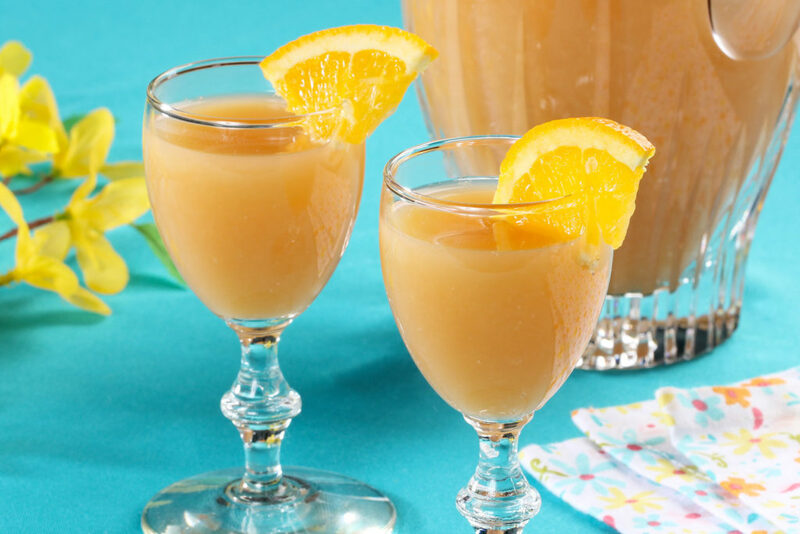 So, after some brainstorming, we came up with the recipe I’m going to share with you today! 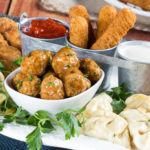 If you don’t already have it on hand, your local dairy and freezer aisles are sure to have all of this! First, go ahead and preheat your oven to 375 degrees F, so it’s good to go when the time comes. Okay, ready for this ingredient list? They are super common, and if you don’t already have them on hand, you can definitely find them in the dairy or freezer aisles of your local grocery store. 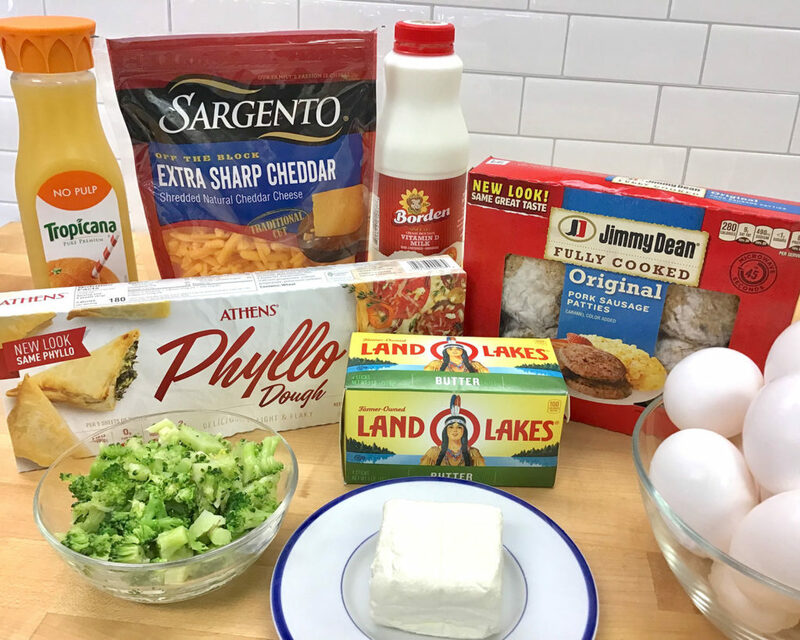 So let’s grab some cream cheese, milk, eggs, a little salt and pepper, some precooked sausage patties (I LOVE Jimmy Dean for this) some broccoli, butter, shredded cheddar cheese, and some thawed phyllo dough. Don’t be scared of the phyllo dough. I know it seems a little fancy, but Athens Phyllo Dough is super easy to use! It makes a crisp, flaky crust—just keep reading. You’ll see! All right, so the oven is heating up. In the meantime, find a large bowl, and we’re going to combine the cream cheese and milk, and mix it up until it’s nice and smooth. 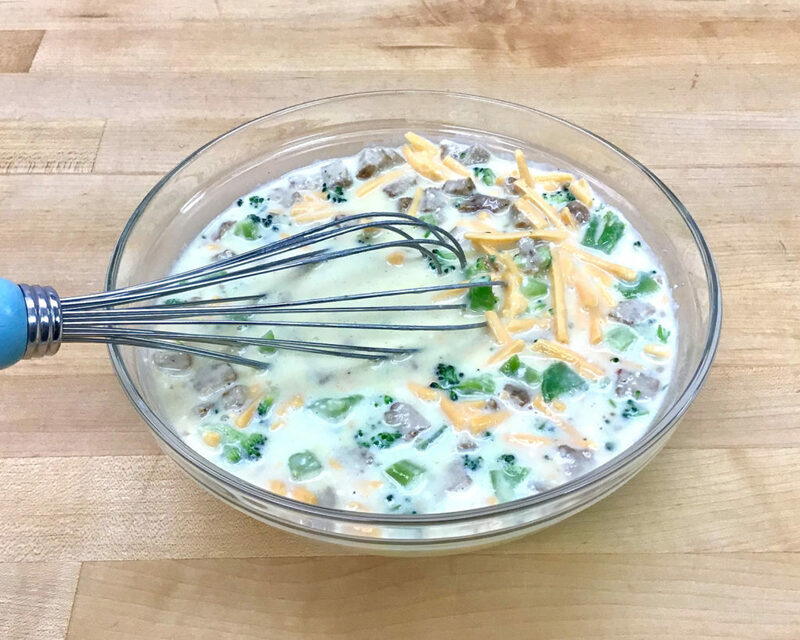 Then, we’ll go ahead and add in the eggs, salt and pepper, sausage, and broccoli, as well as the Sargento cheese, and mix all that up so we can make a nice scramble out of it. Once you cook it up in a skillet, set it aside for the moment. 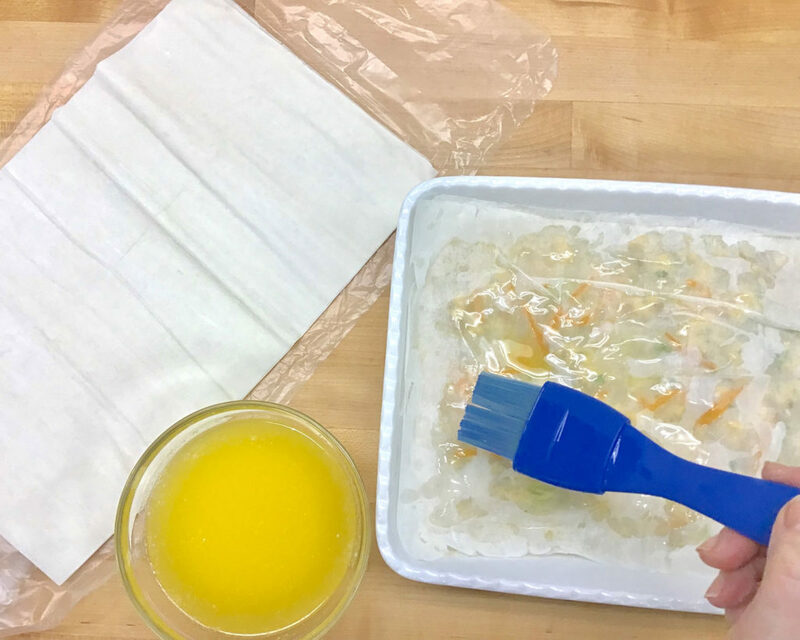 Brush some melted butter over the bottom of a 9- x13-inch baking dish. Okay, ready to use the phyllo dough? Let’s do it! 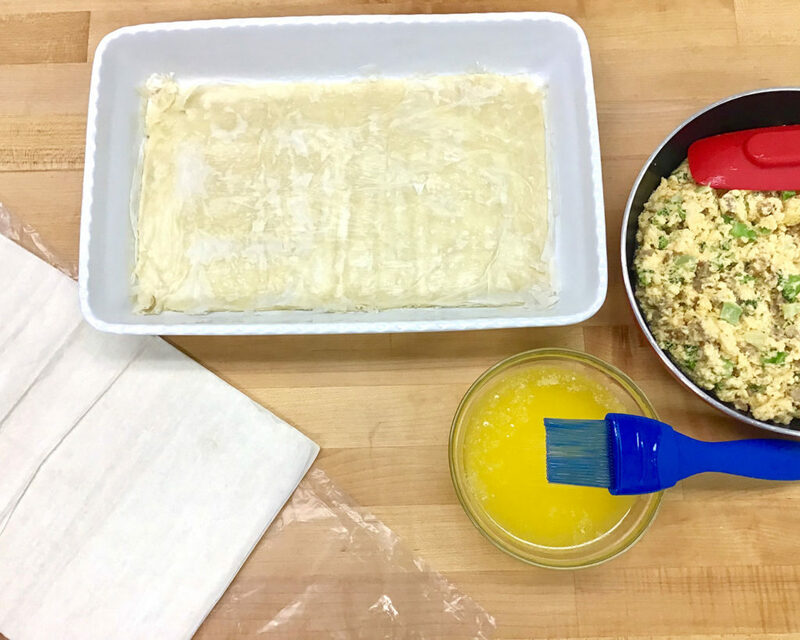 Carefully unroll the phyllo dough sheets onto a flat work surface. Remove one sheet of phyllo and place it on the bottom of the baking dish. (You may or may not have to trim the edges to fit.) Brush the phyllo with some melted butter. Repeat 7 more times for a total of 8 layers of phyllo. See! Easy peasy lemon squeezy! 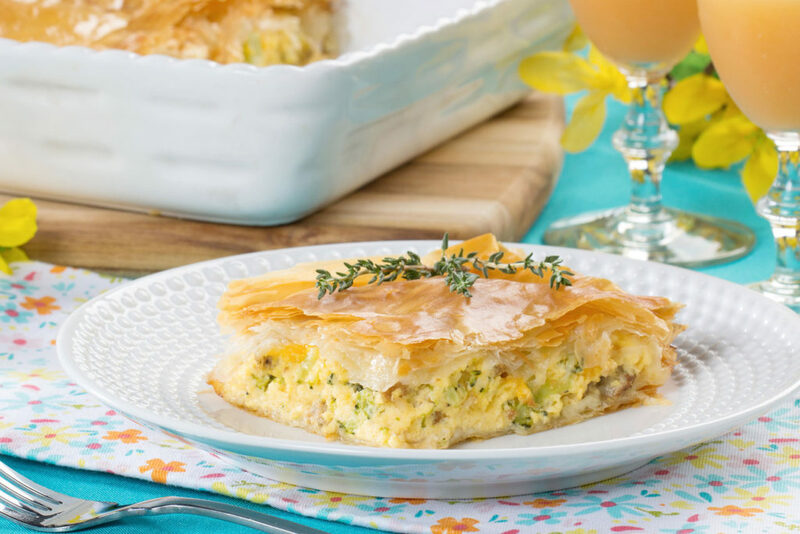 All right, let’s take that scrambled egg mixture and spread it over the phyllo layers. Make sure it’s nice and even. Then, we’re going to repeat the process with the phyllo dough. Place one layer over the mixture, spread melted butter over it, and do that again seven more times for a total of eight layers. Now we’re just going to bake it off for 25 to 30 minutes or until the pastry is golden brown and crisp. (That’s what all that yummy melted butter is for!) Then, when it comes out, just cut it into squares and serve! Wondering where the Tropicana Orange Juice comes in? Well, to add a special touch, I completed this with our Sunrise Mimosas! It paired perfectly with the Spring Fling Brunch Squares. 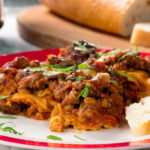 You can get the recipe on our website. Moms always have a way of knowing. But seriously, a huge thank you to Howard, who you all know, and to Patty–who if you don’t know, is our amazing Test Kitchen Director! This recipe was a huge success. 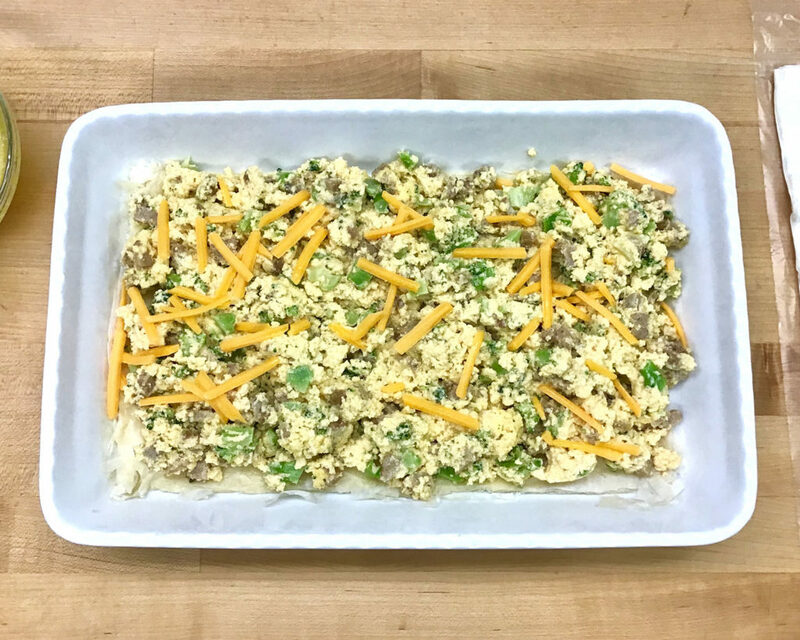 SPRING FLING BRUNCH SQUARES RECIPE!